On the western or back side of the mountain is Rephidim where Moses and the Children of Israel first encamped before reaching Mt. Sinai. It was here that Moses struck the rock, above, which gushed forth large quantities of water. 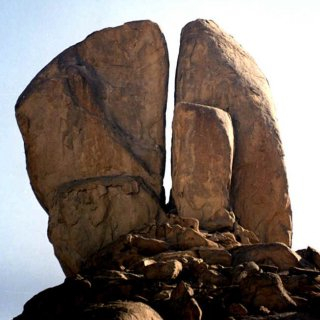 The giant 60 foot rock is on a 300 foot tall hill, and has obvious signs of water erosion, yet it is located in this desert region. The fissure in the rock is so large that you can walk easily through it. A square 20 foot altar is also at this site, which was built after the Children of Israel defeated the Amalakites. The Amalakite territory covered "south of Judah and probably extended into northern Arabia" Britanica. 5 The LORD answered Moses, “Walk on ahead of the people. Take with you some of the elders of Israel and take in your hand the staff with which you struck the Nile, and go. 6 I will stand there before you by the rock at Horeb. Strike the rock, and water will come out of it for the people to drink.” So Moses did this in the sight of the elders of Israel. 28 Now you, brothers, like Isaac, are children of promise. 29 At that time the son born in the ordinary way persecuted the son born by the power of the Spirit. It is the same now. 30 But what does the Scripture say? “Get rid of the slave woman and her son, for the slave woman’s son will never share in the inheritance with the free woman’s son.”[Gen. 21:10] 31 Therefore, brothers, we are not children of the slave woman, but of the free woman. For seven years, Michael Rood traveled the globe presenting the evidence of the "REAL" Mount Sinai in Arabia. Armed with only a few photographs and short segments of extraordinary video footage, Michael exposed fallacious traditions and shed new light from the Hebrew Scriptures, which detailed Israel's exodus from Egypt. The true source of Michael's video evidence remained a secret, even to him, until a former Saudi Aramco oil field engineer and his wife attended the "A Rood Awakening!" seminar. That night, James and Penny Caldwell identified themselves as the clandestine source of Michael's covert information. Now that they were safe in America, they offered Michael full access to nearly ten years of stockpiled evidence - a treasure beyond belief! 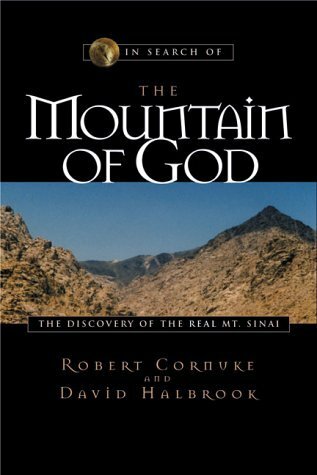 Join Michael Rood as he presents the most complete documentation to date concerning the recent discovery of Mount Sinai, which takes you on a first hand tour of the Mountain of God. You'll be left with little doubt that the Scriptures, not tradition, lead us to the truth. Explore the route of Israel's Exodus from Egypt that leads to the coral encrusted remains of Pharaoh's chariots and army strewn across the floor of the Red Sea. Inspect the petroglyphs of the Egyptian cow and bull gods, which unmistakably identify the altar to the golden calf. View the sacrificial altar near the original Tabernacle site. Walk through the split rock that gushed millions of gallons of water into the thirsty camp of the Israelites. Visit the cave where Elijah stayed during his sojourn at the mountain. Eric Lembke shares his insights into Biblical archeologist Ron Wyatt. Wyatt found the real Noah's Ark, Mount Sinai, Red Sea crossing site and many other Biblical reference points. Mountain of fire, Biblical Mt.Sinai found? Robert Cornuke – a former FBI trained police investigator and SWAT team member-is a Biblical investigator, international explorer, and author of eight books. For centuries, Bible scholars and religious pilgrims have been seeking the location of Mt. Sinai. 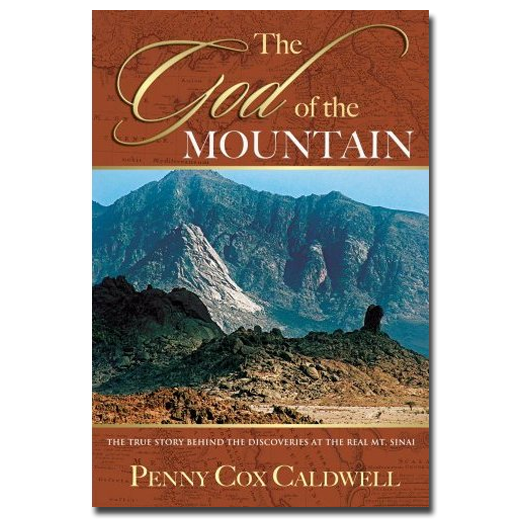 Today, most people are unaware that not one piece of hard evidence has been produced to verify that what is traditionally designated at “Mount Sinai” in the south central Sinai Peninsula is indeed the famed mountain of Moses and the Exodus. In fact, the only verifiable reason that the traditional site is designated “Mount Sinai” at all is because a Roman mystic designated it and Helena, mother of Constantine I, anointed it as the true Mount Sinai early in the 4th century AD. (Helena also claimed she discovered the true “holy sepulcher” in Jerusalem and the true cross of Christ. 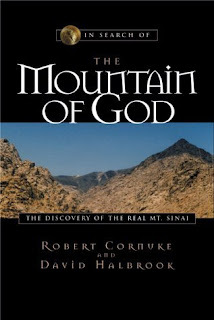 Several other proposed sites for the true Mount Sinai have been suggested by biblical scholars, but, thus far, they have produced no archaeological evidence in support. If we are ever to discern a correct location for the historical events recorded in the biblical Book of Exodus, it’s important to use the Scriptures as a guide, just as we would use any ancient documents that have previously been proven reliable. 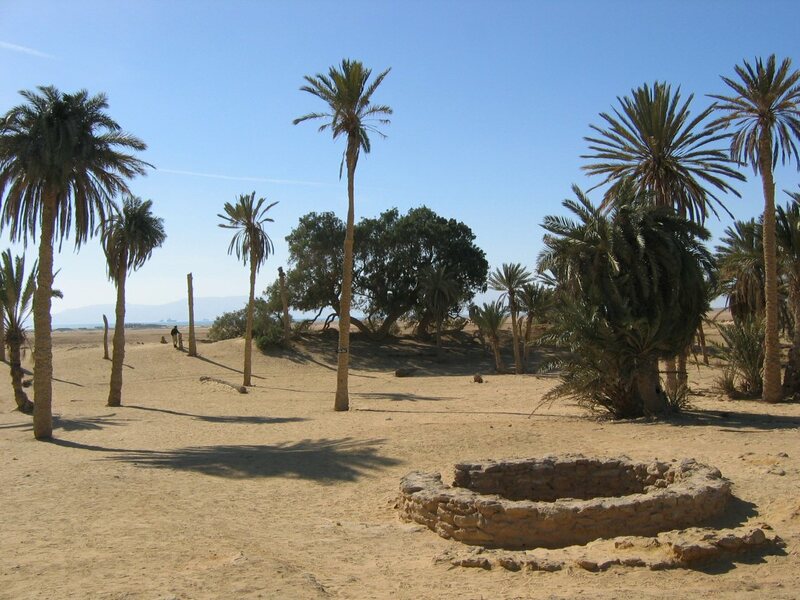 In the New Testament, Paul wrote in Galatians 4:25, “Now Hagar stands for Mount Sinai in Arabia . . .” Although some argue that here the Roman designation of Arabia includes the Sinai Peninsula, Arabia in Paul’s day encompassed a larger region that primarily designated the populated regions of ancient Midian, or modern-day Saudi Arabia. As a “Hebrew of Hebrews,” Paul’s understanding of Arabia would have been one that was consistent with Old Testament passages like 1 Kings 10:15, 2 Chronicles 9:14, Isaiah 21:13, Jeremiah 25:24, and Ezekiel 27:21, in which Arabia is clearly identified with the region east of the Gulf of Aqaba, where “kings” ruled and the “Dedanites” co-dwelt with other nomadic peoples. Even more telling, Exodus 3:1 plainly identifies Mount Horeb (Sinai) as being in Midian: “Now Moses was tending the flock of Jethro his father-in-law, the priest of Midian. And he led the flock to the back of the desert, and came to Horeb, the mountain of God.” Here, there are two important issues. First, the region of “Midian” referred to here is undeniably the same as present-day Saudi Arabia. Second, at the traditional site of Mt. Sinai on the Sinai Peninsula, there is nothing that would cause it to be geographically identified with the “back” of a desert, in distinction from its surroundings. By contrast, the site proposed by BASE Institute is, indeed, on the far side or margin of a vast desert in ancient Midian. The Bible makes several references to Moses returning to Egypt from Midian, including Exodus 4:19 where we read, “Now the Lord had said to Moses in Midian, ‘Go back to Egypt, for all the men who wanted to kill you are dead.” All passages associated with Moses’ stay in Midian point toward present-day Saudi Arabia as the area to which Moses fled, subsequently met God at the burning bush, and then returned with the children of Israel. Many Bible references pointed away from the traditional Mount Sinai and toward Saudi Arabia as the location of the historical mountain of Moses. And archaeological evidence (or lack thereof) contributed to our belief that a site inspection was necessary to determine if other evidence could be found to support this theory. Saudi Arabia’s closed borders made it impossible for a team of scholars and archaeologists to enter the country. As a result, Larry Williams and I surreptitiously slipped into the country, traced what appears to be the Exodus route, and climbed the mountain which many scholars now consider to be the true Mount Sinai. What follows is an account of our adventures and findings, and how they relate directly to the Bible. This could well mean that the “sea of land’s end,” at the tip of the Sinai Peninsula, was the site of the Israelites’ crossing. At the very least, the use of the same Hebrew term--both for the place where the Israelites crossed and for the Gulf of Aqaba at Elath--shows that the body of water in question is not an isolated lake, but includes the bulk of what we know as the Red Sea. Many scholars suggest that the actual crossing of the “sea of reeds” was in the Bitter Lakes region, north of the Gulf of Suez, where some observers have claimed that wind can cause the lake level to fluctuate several feet. However, this simply is not consistent with numerous other Biblical references. Such references include: 1) the account of an entire, Egypt-engulfing locust swarm being blown into Yam Suph (Exodus 10:19), 2) Solomon sailing a fleet of ships on Yam Suph (1 Kings 9:26), and 3) the description of the way in which Pharaoh’s soldiers died at Yam Suph: “But You blew with your breath, and the sea covered them. They sank like lead in the mighty waters” (Exodus 15:10). The Bitter Lakes region is a marsh with no mighty waters. At the tip of the Sinai Peninsula, however, at the entrance of the Gulf of Aqaba, the “mighty waters” of the Red Sea can reach incredible fury and awesome depths. Having visited the traditional Mount Sinai in the southern Sinai Peninsula, I have seen first-hand that the only place the Israelites could possibly have camped was a small, flat valley area adjacent to the mountain. This area would allow for only about one-square-yard per person (assuming that roughly 2 million people were involved in the Exodus). And despite extensive archeological investigation throughout the region, nothing has ever been found that can conclusively be tied to the Exodus of the Hebrews from Egypt, or can even argue for a large population of people ever having occupied the area. Following a theory that the route of the Exodus actually took the Hebrews past (not through) the bitter Lakes and then southward along the west coast of the Sinai Peninsula, we traveled to the tip of the Sinai. There, we explored the underwater topography (bathymetry) of the Strait of Tiran, where the Gulf of Aqaba is narrowest, between the Sinai Peninsula and Saudi Arabia. And we discovered an underwater land bridge existing there today that is so problematic for shipping that two separate routes or “lanes” are designated for northbound and southbound ships to pass through. Further correlation of the Bible’s account of the route of the Exodus causes us to realize that this unusual submarine formation may well have been trod by the Hebrews themselves. While at the springs, we discovered that some nearby caves were being excavated by Saudi archaeologists. A worker at the site said that writings found in the caves indicated that the prophet Musa (Moses) had come through this area with his nation of Hebrews. Continuing to Jabal al Lawz, and after a great deal of maneuvering to gain access to the mountain, we found the top of the mountain to be thoroughly blackened, as if the rocks had been severely scorched from without. When we broke open the rocks, we found that they were actually granite rocks with a blackened “rind” that contained an untouched core of pure granite inside. We had already read in Exodus 19:18, “Now Mount Sinai was completely in smoke, because the Lord descended upon it in fire . 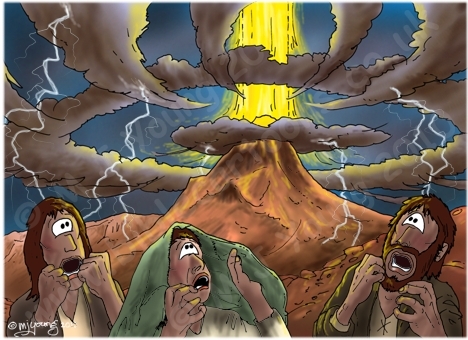 . . .” Exodus 24:17 "To the Israelites the glory of the Lord looked like a consuming fire on top of the mountain." As we explored further around the base of the mountain, we discovered large piles of rocks arranged in a semicircle around the front of the mountain, spaced about every 400 yards. Measuring about 5 and 20 feet across, these piles could be the boundary markers set up by Moses, as he had been instructed by God: “. . . You warned us saying, ‘set bounds around the mountain and consecrate it’” (Exodus 19:23). 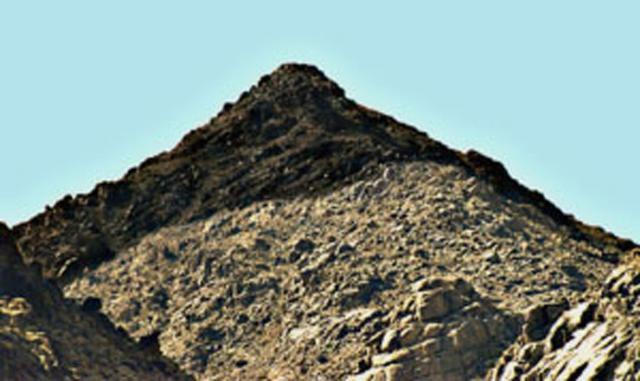 This expedition yielded the first of a wealth of compelling new evidence to suggest that the Strait of Tiran on the Gulf of Aqaba was the crossing point for the route of the Exodus, and that Jabal al-Lawz in Saudi Arabia is the true Mount Sinai. The real significance in all this is that the Bible, once again, has apparently been shown to be true, reliable, and accurate, down to the smallest historical detail. Critics who claim that the Bible does not coincide with known history and geography are again shown to be wrong once the physical evidence has been examined. The account in the Bible is true, and the implications are incredible. God descended on Mount Sinai in flames like a furnace. He spoke to Moses and gave him the Ten Commandments as the laws for the life of Israel. He communicated His love and mercy through the laws for sacrifice and atonement. And though we are unworthy, He gave us the opportunity to enter into a personal, caring relationship with the Eternal Father. The exploits of the BASE Institute team may sound like a treasure hunt to some, but a more important adventure awaits those who would seek out the treasures of the Word of God. The Bible reveals His plan for reconciliation, and the most important discovery any of us can ever make is to pursue a personal relationship with Jesus Christ. This is the best adventure of them all! For those unfamiliar with the Caldwells' story this is essential viewing. Jim and Penny Caldwell painstakingly documented explorations deep into the Arabian Peninsula over an 8 year period corroborating in great detail the earlier findings of the late Ron Wyatt - but it goes further by fleshing out the exodus and 40 year wandering accounts in startling ways that may begin the transformation of humanity's self-identity and the political landscape of the planet beginning in Israel and the middle-east. It is for those reasons perhaps that there is a relentless effort (for those who know the extensive background) to discredit and marginalize the late Ron Wyatt and his archaeological discoveries -- that is, until one day the finds can be exploited by the global political power structure toward the goal of openly establishing a world government and erecting a Masonic temple in Jerusalem for a world leader to set himself up in as the Christ [in fact anti-Christ] of the new age. The newly erect temple will come with, and likely be preceded by, a revival of Judaism in Judea and observances of the Mosaic/Levitical laws including animal sacrifices (hence an altar and temple) as indicated by Daniel, and strict sabbath keeping as indicated by Yeshua/Jesus.